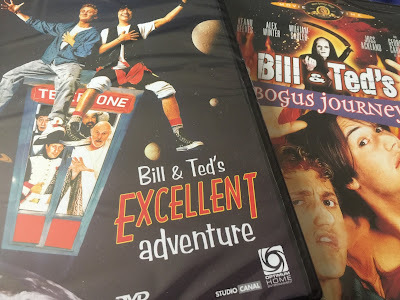 After writing yesterday's post about Bill and Ted 3, I went onto Amazon and made a purchase. That should actually be 'I made TWO purchases'. Yep, I bought Bill and Teds Excellent Adventure and Bill and Ted's Bogus Journey on DVD. I'm getting ready for next year's movie. My main plan is to get my youngest nephew interested in the film before its release.